"I have always known that the very best way to travel is by boat, and probably by sailboat,” says superyacht owner Mark Robba. 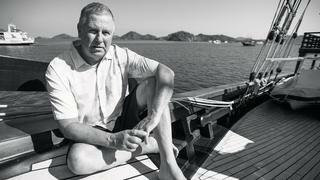 “You’re always home and, if you get tired of one place, you just move on to the next.” Robba, glove entrepreneur and phinisi superyacht owner, has led a peripatetic life, from a childhood spent moving around the US every couple of years following his father’s work, to relocating to Indonesia in 1998. But even here he has not stayed still. His passion for yachts led to the mammoth eight-year build of 51 metre Dunia Baru, which started life in the Indonesian jungle and now cruises his adopted home’s 17,000 islands. 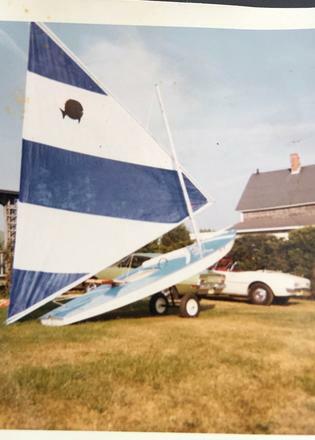 After his second year, Robba became commodore of the university sailing club, and his course was set. 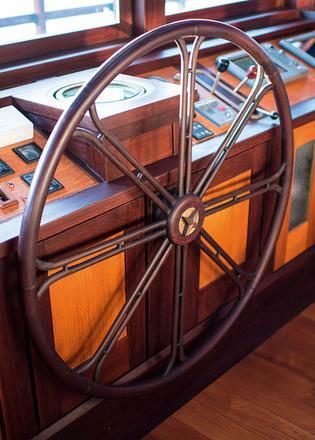 “I met a German fellow who had a 16 metre Sparkman & Stephens yawl that was built by Abeking & Rasmussen. She had a flush deck and was a very gorgeous boat. 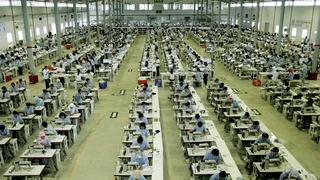 Robba moved permanently to Indonesia in 1998, having opened his first factory in Jakarta the year before. “Around the turn of the millennium Indonesia was a pretty scary place, but we persevered and, in 2002, we made a decision to move to central Java, where we built a rather large factory that opened in 2003.” PT Sport Glove Indonesia’s output now spans the gamut of gloves, from golf, running, riding and cycling to military gloves, work gloves and gloves for the oil and gas industry. His manufacturing and quality assurance background has honed Robba’s eye for detail, which is evident as we sit forward in Dunia Baru, his beloved phinisi. The intricacy of the woodwork that surrounds us balances neatly with the solid heft of her construction, but her build is a story of frustration, joy, learning and experience that spanned eight years in total. “I remarried in Bali in 2005 and was looking for something to do when my family came over for two weeks,” he says, “and I thought going for a cruise on one of the traditional phinisis would be great. A contact Robba made at the International WorkBoat Show in New Orleans put him in touch with an East Coast marine systems supplier and, such was the interest in Robba’s build-in-the-jungle project, one of the partners quit to join the build. 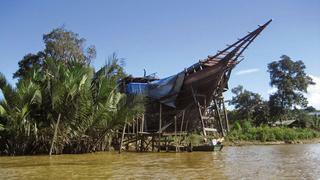 The site for the hull construction was a two-hour ride by speedboat up river, on the fringes of the jungles of Sulawesi, where all the wood for the build was harvested. 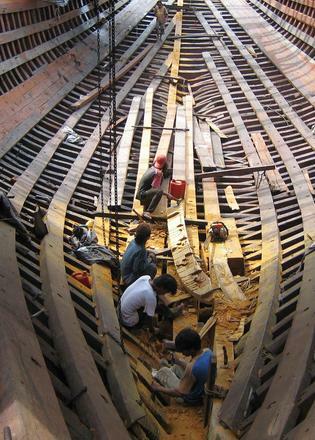 With a team of just 20 Indonesian builders and carpenters, the hull gradually took shape. “As the project progressed I realised it was more complex than I had anticipated,” he explains. It was in Bali that the build was completed over the next five years, with Robba drawing inspiration from the local furniture stores, Indonesian culture and his travels to top hotels around the world for finish and decoration. The final stats are impressive. In total, 800 cubic metres of wood were used in Dunia Baru’s construction – primarily ironwood with some teak – along with 1.5km of strip lighting and 360 LEDs. The result is a glorious blend of traditional and modern – but at a price. Robba estimates that the final build cost six times his original estimate. “When the boat was finally finished we went through all the emotions,” Robba says. “It qualified as the adventure, the ultimate adventure.” This is reflected in her nameplate: “Dunia Baru Adventures”. It is a key tenet of Robba’s philosophy. “I’ve always tried to instil in my family and children that you should never take a vacation,” he explains. “You can sit by a swimming pool and it’s just kind of boring. Really, what we always want is adventure, and the way I define it would be when you did something where you experienced all the emotions, and not just joy, happiness and excitement but also feelings of discomfort or frustration. But once you’ve done it you have a feeling of accomplishment. “When I’d be sitting in my office and having to pay for the boat I’d become very frustrated. But then every time I went to the build in the jungle I’d leave with this positive sense of everything,” he explains. 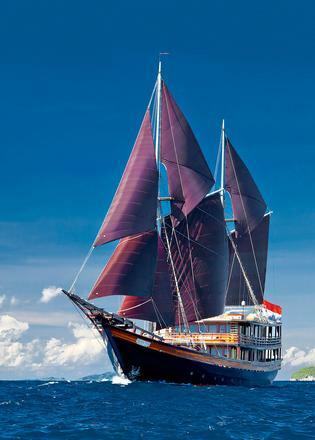 Robba built her primarily for private use, and regularly explores new areas of Indonesia, from Komodo to Raja Ampat, often with friends and various family members on board. However, she is also proving a popular charter yacht, with guests enjoying her combination of all-mod-cons luxury, features such as her country kitchen style aft galley, epic sound system and affable Indonesian crew. Moreover, with a permanent onboard divemaster, she really does provide a perfect platform for exploring the wonders of Indonesia’s underwater world, from vibrant reefs to stunning marine wildlife.